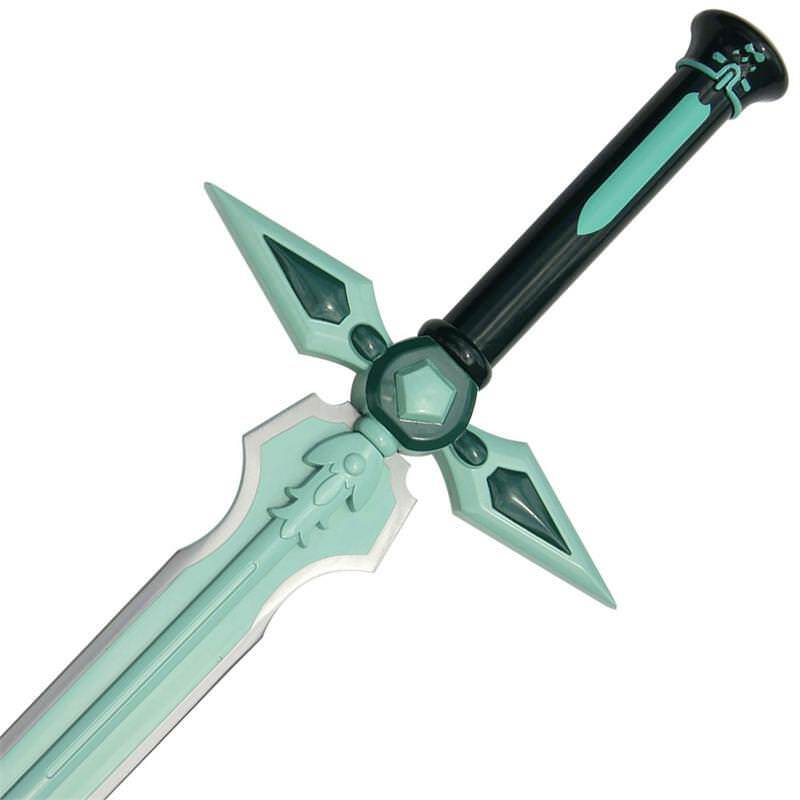 The Dark Repulser sword is designed to look like a pair of conjoined dagger blades that is aqua colored with the grip being a darker color than the rest of the blade. In the center of the guard is a large aquamarine gem. This sword was created for Kirito by Lisbeth out of Crystallite Ingot in a special quest. This sword is constructed with a carbon steel blade with an ABS and zinc aluminum hilt. 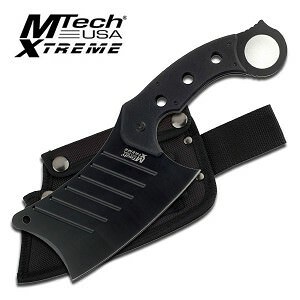 Included is a black faux leather sheath to protect your blade. Hand painted with impeccable detailing this sword will not disappoint if you are an avid SAO fan. Read more below for details on the quest that help forge this sword. After breaking one of Lisbeth's most prized swords, Kirito and Lisbeth set out to obtain a Crystalline Ingot on a quest. Far away in the mountains, there was a dragon that was rumored to produce a rare mineral. After being pushed into the pit and spending the night there, Kirito and Lisbeth found the special ingot, which was actually the dragon's excrement, but were stuck until Kirito managed to grab onto the tail of the dragon, who had returned to its nest for the day. After getting back to Lisbeth's shop, Dark Repulser was forged. Kirito swung the sword to test its weight and remarked it as "heavy", deeming the sword worthy. Kirito then demonstrates his Dual Blades skill upon Lisbeth's inquiry as to having a similar blade to his Elucidator.